A Tipperary company that develops equestrian apps has been shortlisted for the Best App Ever awards. AN IRISH APP aimed at equestrians has been nominated for the Best App Ever Awards. The Android app, Save a Horse, was shortlisted from over 7,240 nominations and was designed by Tipperary company Grey Horse Apps, which creates equestrian apps for iPhone and Android. The Best App Ever Awards have been running for the past four years, and “were created to celebrate the best mobile apps and games available”. They were set up after the first iTunes App Store opened in 2008, and honour the best apps, not just the best-selling. This is the first year that Android applications and games are in the competition as well as iOS apps and games. The Save a Horse app is one of 23 equestrian apps developed by the Grey Horse Apps – and one of 31 in total. 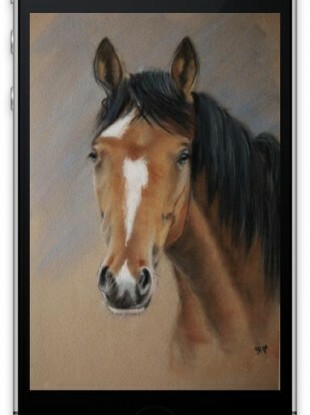 Its other apps include What Horses Think, Horse Sayings, Equine Vet and Good Horsemanship. Its Save a Horse app has been nominated in the Best Doing Good App category. Once voting has taken place, the winners will be announced at the Macword/iWorld Expo between 26 and 28 of January this year. Email “Irish company nominated in Best App Ever Awards ”. Feedback on “Irish company nominated in Best App Ever Awards ”.